Glad Cling Wrap is presented as the means to prevent flavour migration in this print advertising campaign from the United Arab Emirates. 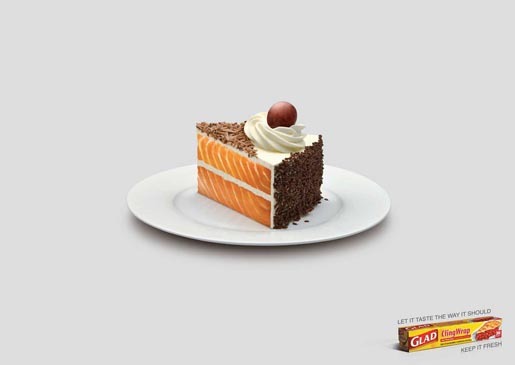 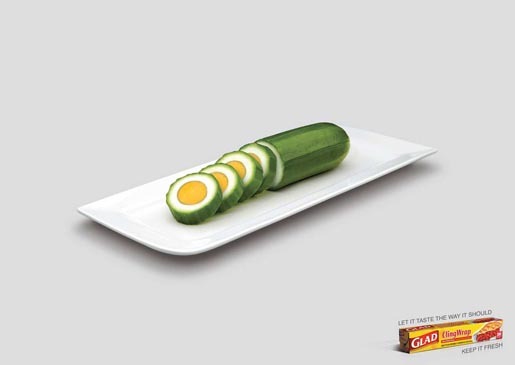 Designed for the Clorox Company, three print advertisements show cucumber, cake and watermelon with the textures of eggs, salmon and red meat. 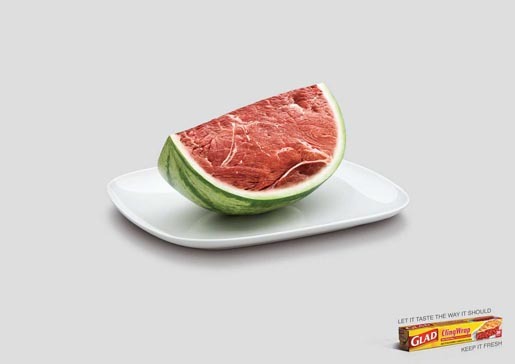 The Flavour Migration campaign was developed at DDB Dubai by executive creative director Shehzad Yunus, creative director / art director / copywriter / retoucher / designer/ illustrator Firas Medrows, copywriter Swati Sholapurkar, account supervisor Krishnakumar G P, photographer Daryl Patni, and advertiser’s supervisor Claude G Azrak.